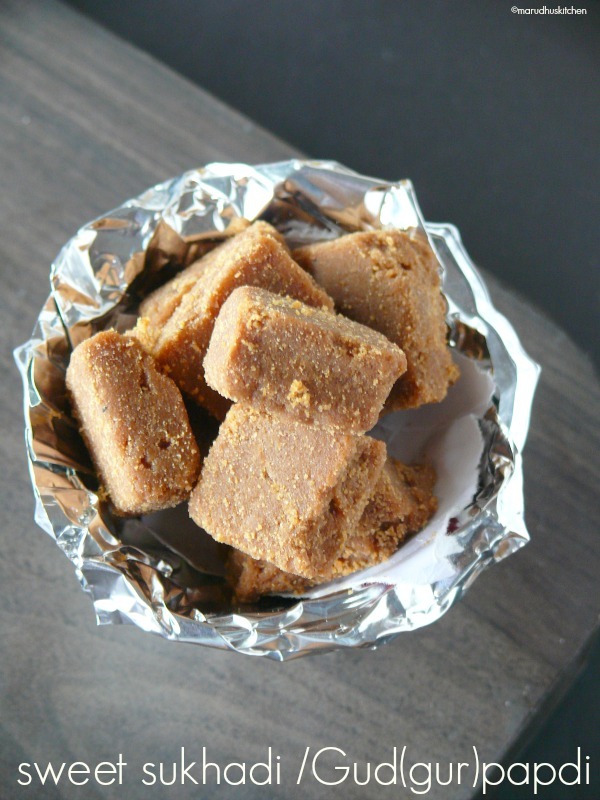 This gujarati sweet sukhadi is an honest straight forward dish with no complicated procedures and proves to be a best authentic sweet with no compromise.As in most of the gujarati sweets jaggery is given more importance because jaggery has a special character to balance the heat of the body keeping it warm.The ingredients used in each region is purely influenced by the climate of that area.While selecting jaggery it should be dark coloured one and that is the good one compared to golden hard jaggery. My mother says the light-colored one will have loads of chemical mixed in it so from then I strictly avoid buying it.Ghee is also an another inevitable ingredient in gujarati cuisine they use tons of ghee which makes the whole Gujarati thali very special.As my jaggery is dark my sukhadi was also dark so the colour depends on the type of jaggery used.I have made this sukhadi plain with only one flavoring(cardamom powder)you can add some coconut shavings and even a pinch of nutmeg powder.For topping various nuts like pista, badam even poppy seeds are used.The texture is brittle but melt in your mouth.Its a totally a different kind of sweet that you have to try it for sure. 2.Grease the plate you are going to set the sweet(accordingly select a plate). 3.Keep a kadai heat ghee and when it is hot add wheat flour slowly. 4.Stir well by adjusting the flame then and there. 5.A nice aroma should release with a color change. 6.Now switch off the flame. 7.Wait for 2 minutes then add grated jaggery with cardamom powder stir in nicely. 8.So that all are mixed up well. 9.At this stage sukhadi will not stick to kadai. 10.Transfer to greased plate level it. 11.When heat settles down a bit cut to desired shaped and when set take the pieces and serve. Grease the plate you are going to set the sweet(accordingly select a plate). Keep a kadai heat ghee and when it is hot add wheat flour slowly. Stir well by adjusting the flame then and there. A nice aroma should release with a colour change. Wait for 2 minutes then add grated jaggery with cardamom powder stir in nicely. So that all are mixed up well. At this stage sukhadi will not stick to kadai. Transfer to greased plate level it. When heat settles down a bit cut to desired shaped and when set take the pieces and serve. My jaggery was little dark so I have got little darker sukhadi. 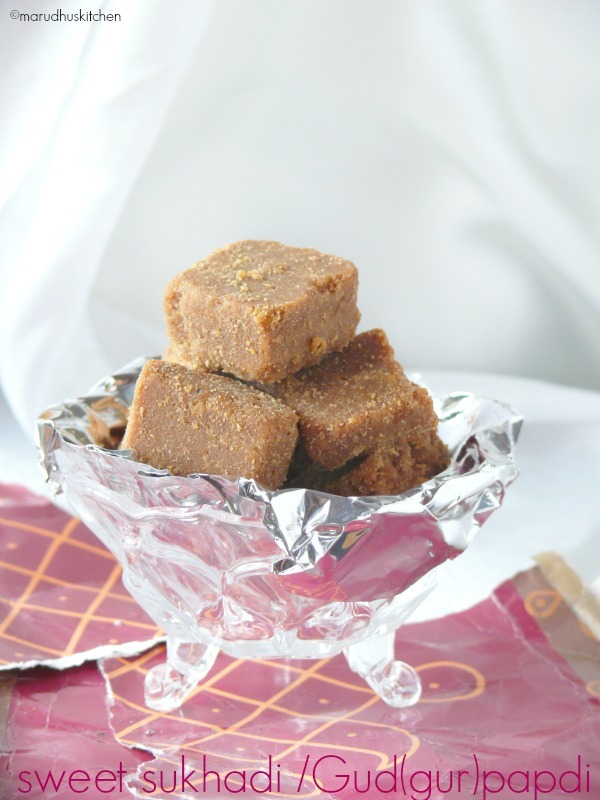 Its important to grate jaggery so that it mixes well with the wheat mixture. Even sometimes a pinch of nutmeg powder is added for this to lift the flavor. After sukhdi sets we will not be able to cut the sweet so before itself we should cut it. Such a simple dessert but I know that once u take a bite from one of those pieces, you will find it hard to stop.. it’s that moreish! This is new to me, looks delicious Vani, on my to do list. Thanks for sharing it with us. Vani, anything sweet and I fall instantly in love with it. With a sweet looking as scrumptious as this I cannot help but fall head over heels in love with it. You capture food so beautifully always dear. This Gud Papdi is making me want to grab all from the screen itself. Awesome sweetie. Can we use sugar instead of jaggery?? 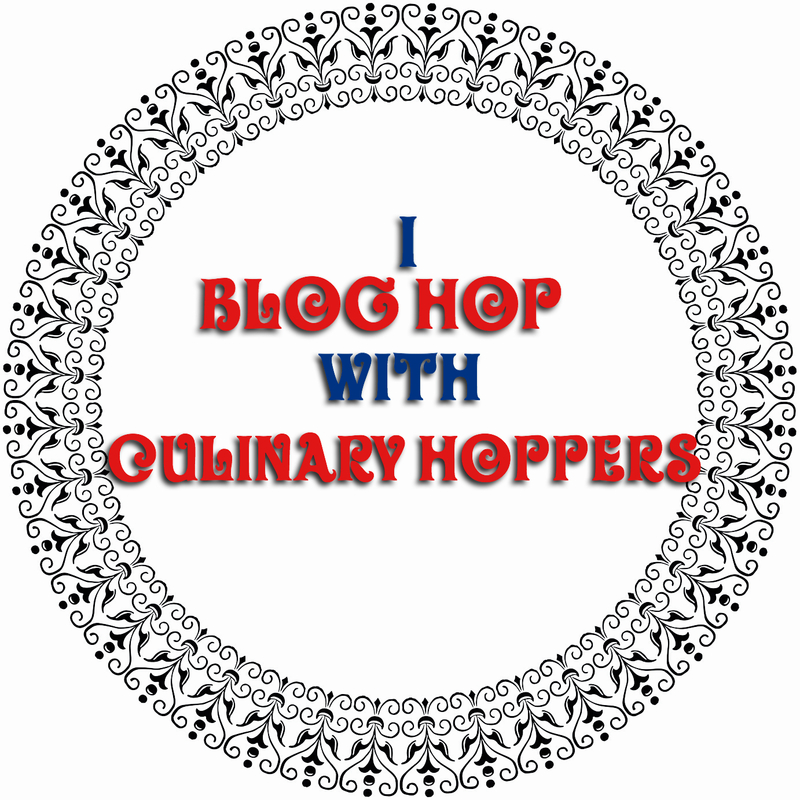 we can but taste differs….